Does your child get sick often? with the same problems you have now! During the birth process, the head pushing through the birth canal, pulling and twisting the baby&apos;s head can cause serious spinal trauma that can create spinal subluxations (misalignments) of the vertebrae causing nervous system interference. This leads to decreased immune function, lymphatic drainage and other so called childhood problems like bed-wetting to colic. A study by Gutman in 1987 (Manual Med.) showed that in 1250 babies examined five days after birth, 95% showed spinal abnormalities. The authors stated that an unhealthy spine causes many clinical features from central motor impairment to lower resistance to infections - especially ear, nose and throat infections . The authors, who were Medical Doctors, asserted that all children should have their spines checked by chiropractors. Chiropractors do not check and adjust a child the same as adults. This common misconception often makes people hesitant to see a Chiropractor. 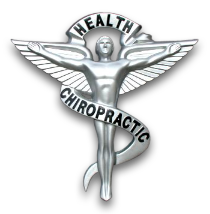 The fact is that Chiropractors have many different ways to adjust the spine. These methods are gentle and safe. They are often the amount of pressure you could tolerate if you put your finger on your eyeball. More than 40 million students carry school backpacks. Recent research published in the Archives of Disease and Childhood 2003 reports states that every year, more than 13,000 backpack related office or emergency room visits in the United States occur with school age children. In the past four years, there have been more than twenty documented studies showing that improperly worn backpacks may cause long term damage to a growing spine. A 1999 study by Simmons College (Boston) professor Dr. Shelly Goodgold, Sc. D found that more than half of children in a study regularly carried more than the recommended 15% of their body weight in their school backpacks. The U.S. Consumer Product Safety Commission estimated that more than 3,300 children, aged 5-14 years, were treated in emergency rooms for injuries related to backpacks in 1998; these numbers do not include students who went to family physicians or orthopedists. 58% of orthopedists polled in 1999 in Chicago and Wilmington, Delaware reported treating children with back or shoulder pain attributable to carrying backpacks. Each year, I grow more concerned as I see children with problems associated with backpacks. Complaints include headaches, neck and shoulder pain, and numbness into the arms and hands. Studies show a direct connection to these problems being associated to overloaded and ill-fitted backpacks. The body is trying to compensate for the change caused by the backpack’s added weight. The spine in particular can be affected as it bends and twists to reposition this added backpack weight. When this happens pain usually results. Other problems associated with backpack overload is a condition called Cervicobrachial Syndrome and/or Thoracic Outlet Syndrome A heavily loaded backpack causes the shoulder straps to compress delicate nerves, arteries and veins passing underneath. This can lead to numbness and tingling in the arms. Choose one that&apos;s appropriate to the child&apos;s size and age. School backpacks come in different sizes for different ages. Select a pack with well-padded shoulder straps. The shoulders and neck are rich in blood vessels and nerves that when constricted can cause pain and tingling in the neck, arms and hands. When shopping for a school back pack, take along books and other materials that the child would carry to judge how each pack varies when fully loaded. Never allow a child to carry more than 15% of his or her body weight. That means, a child who weighs 100 pounds should not carry a school backpack that weighs more than 15 pounds. Load heaviest items closest to the child&apos;s back. Pack items neatly and organized to keep books and materials from sliding around in the pack; shifting weight. Always wear both shoulder straps to distribute weight evenly. Wearing a pack slung over one shoulder can cause a person to lean to one side and curve the spine. Adjust the shoulder straps so that the pack fits snugly to the child&apos;s back. A pack that hangs loosely from the back can pull the child backwards and strain muscles between the shoulders. The bottom of the pack should rest in the curve of the lower back. It should never rest more than four inches below the child&apos;s waistline.